Previously, we talked about the possibility of the next Google device, a phablet called the Nexus 5, being developed by HTC. But could Samsung actually be working on the Samsung Galaxy Nexus 2? The signs point to yes, based on these leaked camera samples. 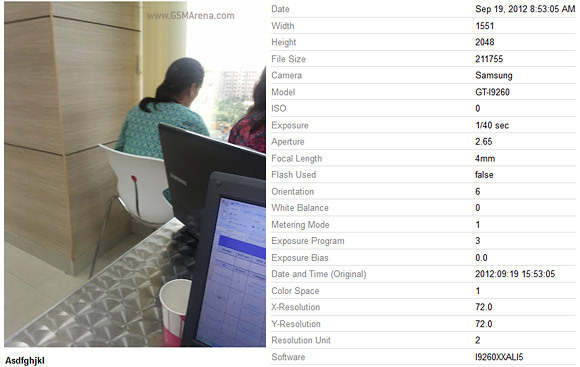 Some of the specs provided seem a little questionable such as the Q4 2012 release date and the single-core processor. Putting a single-core processor on this device seems like a step back for the Nexus line and it’s unlikely that Google would agree to that for their next flagship smartphone, especially with the recent release of the iPhone 5 and the Nokia Lumia 920 possibly becoming another high-profile challenger. Another rumor that GSM Arena shares is that instead of a single-core CPU, what they’ve heard is that the Samsung Galaxy Nexus 2 will have a Cortex-A9 dual-core at 1.5GHz instead of 1.2GHz. Still not a quad-core but that’s still much better than an single-core processor. 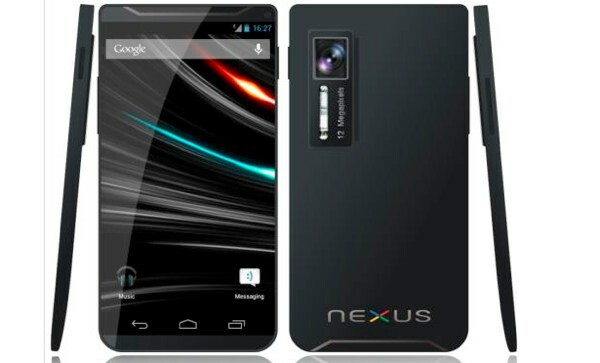 The leak also reveals that the Samsung Galaxy Nexus 2 will still be running Android 4.1 Jelly Bean. Traditionally, flagship Google devices are announced with a new version of Android but with Jelly Bean still being relatively new and with a just around 1% of existing Android devices running it, one can see why Google would decide to stick with it in the meantime. Are you looking forward to the Samsung Galaxy Nexus 2? What kind of changes would you like to see with this device? Share your thoughts in the comments below!